A pristine lake in Central Florida. 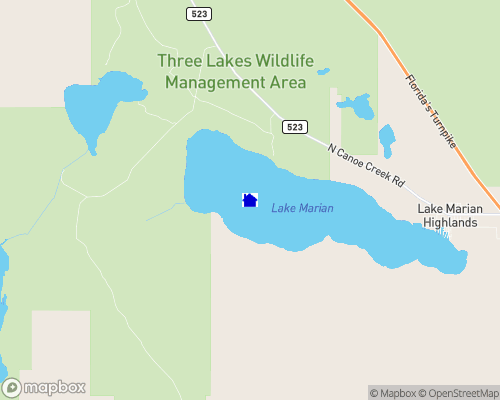 Lake Marian is a 6000 acre lake boarded by hundreds of thousands of acres of wildlife preserve lands. Only one housing community of 84 homes is developed on this lake. The lake is clean, deep and pristine. Depth of Lake: 16 ft.